MUCH NEEDED INFORMATION WHICH WILL SAVE YOU THOUSANDS OF DOLLARS WHEN YOU CONSIDER THAT IT WILL TAKE 35 PLUS YEARS TO WRITE OFF CAPITAL IMPROVEMENT ON YOUR ROOF. We live in a society where service and maintenance are written with capital letters. Insurance companies give discounts to participants’ in-group plans who promise to get involved in preventative maintenance. We change the oil in our engines routinely to prevent premature engine failures. We periodically paint and clean the exteriors of our buildings, bridges and other structures to prevent rust or wood decay. When it comes to our roofs, however, we are negligent. We should realize that a roof needs as much or more maintenance than any other building component. The roof is our first line of defense against the elements: sun, water, ice and snow. Despite this, most of us are not willing to routinely inspect and practice preventative maintenance to extend the life expectancy of a roof. Most of us think of a roof as an asphaltic surface that may get some blisters and some splits and some water here and there – big deal! But a roof is much more than that. A commercial or industrial roof consists of a steel deck, insulation and a waterproofing membrane. Individually, each component will not provide us with the weatherproofing that is needed. 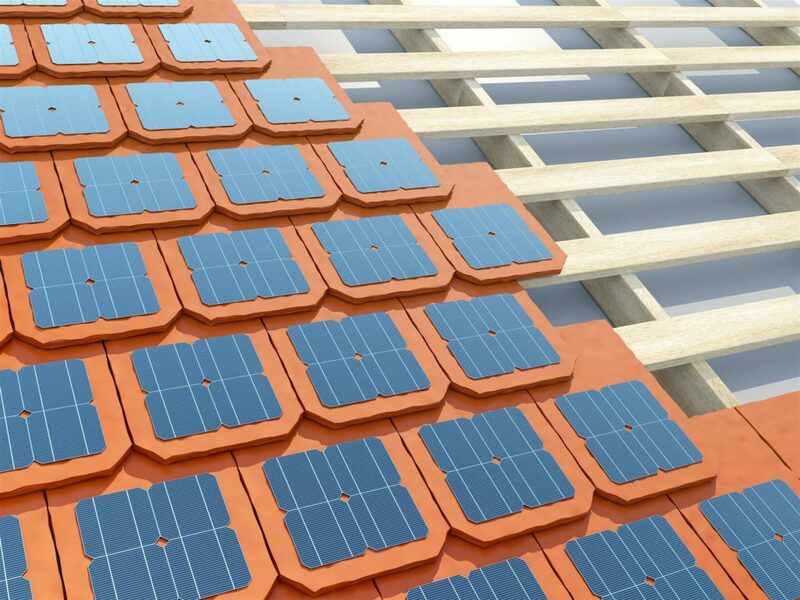 But together, they become an integrated roof assembly that can protect your building for many years. As a commercial roof ages, the waterproofing membrane begins to deteriorate and leak. Without proper maintenance and care, we can also lose the value of the insulation and the physical integrity of the deck, which is the most costly to replace. The staining of two or three ceiling tiles would signal the presence of a small leak to most, but a greater threat may exist. Insulation on top of the deck may be absorbing water like a sponge, wicking and spreading the moisture into a much larger area. Therefore, it is of utmost importance that you have a qualified roofing contractor make routine inspections at least twice a year and perform preventative maintenance services. Maintenance inspections may only require the cleaning of roof drains that are mysteriously clogged with all manner of debris…beer cans, tennis balls, wood and even animal bones. Animal bones are often found on roofs after they have been picked clean by birds. The bones are light and easily flushed with flowing water into the lower areas where the drains are located and can cause immense problems. The IRS ruled several years ago that a new commercial roof can be capitalized over a period of 30 years. Therefore, it is more important than ever to maintain your roof, so that you can extend the life expectancy and receive the maximum value for your roof. 1. Can you provide a list of former customers as references? In addition, ask for bad references. Any contractor can deliver a list of good references – not all projects go as planned. You will find out how the contractor performs when things do not go well. 2. Can you provide me with a current copy of your insurance certificate? In particular, copies of liability coverage and workers’ compensation certificates. Share the insurance certificate with your insurance agent for coverage and validity. 3. Can you provide me with copies of proposed assemblies and details from the manufacturers’ published literature? 4. Will you furnish me with a copy of the proposed warranty? 5. Will you submit a maintenance program for the new roof system? Most roofing contractors will not offer a maintenance program for your roof once it is installed. Regular inspections of the new roof will allow for potential problems to be caught early and remedied before they cause substantial damage. 6. Can you provide a list of the manufacturers with which your company is a licensed or approved applicator? Most roof systems require special application expertise to achieve lasting quality. of doing business, and further assures that your job will go smoothly. 9. Are you a current member of any local and national roofing associations, i.e. the NRCA, C.S.I., NAHB? 10. Are you an Energy Star provider? We at Pfister Maintenance will gladly assist you in accomplishing these objectives by providing a cost-effective preventative maintenance program. One way commercial property is just like residential property is that it has to be properly prepared for the winter months, especially if it is located in an area prone to harsh winters. Cold temperatures and winter storms can severely damage commercial property, resulting in costly repairs and possible disruption of tenant business or decreases in the property’s value. Even your vacant properties need to be properly winterized to protect your investment and keep it in top condition for showings. Even if your property is vacant, keep your heaters on a low setting. Leaving your heater off during the winter months can cause the pipes to freeze and break. A small winter heating bill is a lot less expensive than the cost of repairing broken pipes. Check your roof and make sure there are no problems. Winter storms can often loosen tiles or shingles and cause other damage to your roof. Loose or damage shingles can result in leaks that can cause severe damage to your property, including mold damage threatening to human health. If you have roof damage to your commercial property, get in contact with a commercial roof repair company immediately. Regularly inspect your property. Catching damage early will allow you to repair it before it worsens and becomes much more expensive. Being on good terms with the neighbors can help, as they can call and alert you if damage has taken place. Eliminate drafts. Gaps around windows and doors let cold air into your property during the winter, running up heating bills for your tenants or you if you occupy your commercial property. Making sure all exterior doors and windows have weather stripping and caulking, and sealing gaps can help eliminate energy-wasting gaps. Shut down irrigation systems. If your commercial property has sprinklers, you’ll need to properly winterize them to ensure damage doesn’t occur during the winter. Drain the irrigation system of water and shut down the control box until spring arrives. Clean your gutters. Make sure your gutters are clear of leaves and other debris that may have fallen during the autumn months. Clogged gutters can lead to water accumulating on your roof, which can cause leaks and expensive water damage. If your commercial property has a parking lot, head off accidents by keeping it clear of snow, and sprinkle salt or other material on it to increase vehicle traction and prevent accidents. A clear, safe parking lot is more appealing to customers and potential tenants. Pfister Roofing is a family-owned roofing business specializing in commercial roofing and roofing renovation for churches and historic buildings. For roofing projects that require a high level of skill and planning, Pfister Roofing is the choice generations of customers in New Jersey, Pennsylvania, New York, and Connecticut have trusted. Even the Lord’s house needs a little work from time to time. Religious organizations can improve the longevity of their roofs with a little preventative maintenance, and when the time comes for extensive repairs or replacement, or historic roof restoration, hiring a contractor with specialized experience is the right call. Church roofs are a lot different than standard residential roofs, making repair and installation work quite complex. Church roofs often have architectural features like steeples and parapets that pose challenges to roofers. Historic buildings may pose even more difficulties, as contractors may need to use specialized materials to maintain the church’s appearance. Get to know your roof – Church roofs typically come in two types: water-shedding roofs and waterproof roofs. Waterproof roofs are typically flat or low-pitched roofs that are built to withstand water. Standing water on these roofs can eventually cause damage, however. Regular inspection of your roof can allow you to identify and get rid of pools of standing water. Water-shedding roofs are designed to ensure water runs off the roof at an angle into gutters. Water-shedding roofs are often made of waterproof materials, but, if shingles go missing, the roof may be damaged. Again, regular inspection and maintenance is necessary. Know your shingles – Roofers use a variety of types of shingles for church roofs. Common roofing materials include metal, asphalt, slate, and clay. Some inexpensive roofing materials such as asphalt shingles may have a useful life of just 15 years, while other more expensive materials like slate shingles can last for decades. When describing your needs to a roofing expert, it pays to know some basic facts about your roof. Know the warning signs – Regular inspection of your church’s roof and its gutters can help you catch many problems early. For example, discoloration or dirty streaks appearing on interior or exterior church walls can indicate a clogged or leaky gutter. Up on top of the roof, dislocated and broken shingle tiles indicate roof damage, as do nails that have deteriorated. Vegetation growth can also be a sign of a problem. Clean those gutters – Regular gutter cleaning is perhaps the most important thing you can do to extend the life of your church’s roof. Keeping gutters clean helps prevent water from accumulating and damaging your roof. Repainting pipes and metal structures is also important to prevent rust. If the roof of your church shows signs of substantial damage, get in contact with a professional.. Church roofing repair contractors can provide the expertise needed for complex church roof restoration and replacement projects, especially jobs involving historic buildings with very specific requirements. Pfister Roofing has more than 30 years of experience in commercial roof repair, including church roof repair and replacement. Our roofing experts are knowledgeable concerning the techniques and materials used in historic church buildings, and can provide expert workmanship in repairing and replacing roofs for these architectural treasures. Roof work is no easy task. Temperatures, weather conditions, and height all work together to make fixing or replacing a roof a dangerous, difficult job. If you’re considering replacing or repairing your roof, fall is typically the best time to hire professionals for roof installation or repair services. End of the stormy season. Severe weather events that damage roofs are far more likely during the spring and summer. Fall is the ideal time to assess any damage that may have occurred during the stormy months and determine what roofing services are necessary. Drier weather during the autumn months makes them ideal for roof work, as rain can cause delays in roofing work and impact its quality. Conditions are perfect. Experts agree that roofing is best installed when the temperature is between 45 to 50 degrees Fahrenheit. This is particularly true if your roofers are installing asphalt shingles, the most commonly used type of roofing material. Temperate temperatures help facilitate better thermal sealing of asphalt shingles, ensuring that they firmly adhere to the roof. Also, cooler fall temperatures make work more comfortable for the professionals installing or repairing your roof. Cold winter temperatures make shingles more difficult to work with. When temperatures are cold, shingles tend to become brittle and more likely to break when roofers are nailing them to the roof. They often have to put aside their roofing guns and hand nail shingles, causing delays and higher costs. Proper sealing. By getting the work done in autumn, new shingles have enough time to adequately bond to the roof before wet winter weather arrives. This helps them better insulate your home from cold temperatures and moisture. Storm season may start back up in winter. Winter storms can exacerbate existing damage to a roof, causing holes to get larger or leaks to worsen. If you live in an area prone to snow, the weight of snowfall on an already-compromised roof can cause expensive damage. Save on heating. By reroofing in the autumn, you’ll be able to reap the benefit of a better insulated home in the cold winter months. A new roof can help reduce heating bills, helping to offset a small part of the cost of renovations or repairs. While some homeowners may think that waiting for the winter or spring will result in lower prices and greater availability, that may not be true, as many roofers switch to other work during those months or take vacations. Pfister Roofing provides residential and commercial roof installation and repair in New Jersey and surrounding areas. Whether it’s a slate roof, a tile roof, or a metal roof, Pfister Roofing will ensure your repair or new installation will be of the highest quality. The company has 30 years of experience in providing quality custom roof work, and it specializes in historic roof restoration. When a roof starts leaking, it’s time to be concerned. Even “small” leaks can cause serious problems if left untreated, as the water getting through will eventually cause serious damage to the building’s interior, compromising the structure’s integrity and possibly leading to the growth of dangerous mold, along with other problems. For many businesses and historical sites, the cost of replacing an entire roof, even if it’s leaking, is an investment they can’t afford to make. How do you know when a leaky roof can be repaired, or if it needs to be replaced entirely? Commercial roofing can be made from a wide variety of material and constructed in a wide variety of ways, which means there’s no “one size fits all” way to spot assess whether or not a roof needs to be repaired or replaced due to leaks. If a building has insurance, then contacting the insurance carrier is the first step – not only will they be able to tell you what’s covered under the policy, but they’ll also have a listing of the materials the roof is made from, which will help with the professional assessment. Once the insurance company has been contacted, it’s time to speak with a repairman. Contacting a repairman isn’t a commitment to either repairing or replacing a roof. The first thing a licensed roof repair specialist or engineer will do is come out and assess the damage. This will involve visual inspection, as well as taking core samples of the roof to get a look at how much damage has been done to the roof’s interior or conduct an infra red scan to detect moisture. When it comes to roof leaks, it’s important to remember that not all damage may be visible to the eye. A leak that has just recently appeared on the inside of the building may not be new – it may be a small leak that has existed for some time, and which has caused water to collect inside the interior of the roofing material. If this has happened, the damage may be extensive and may not be able to be fixed with just a simple repair. Another thing to remember is that many repair options are only short-term solutions, or are not compatible with every type of roofing material. For example, roofing cement can stop leaks in the short term and is fairly easy to apply, but it also shrinks over time and becomes brittle when exposed to ultraviolet radiation (like that found in sunlight). In order to make sure you find the right solution, it is very important to consult with a professional who has experience working with a wide variety of commercial and historical roofs, and who has the expertise to know which solutions work best for the kind of roof your building has since many repair products may not be compatible with most roofs. Want more information? Pfister Roofing’s commercial roofing installation and repair specialists are here to help. Contact us today at 973-569-9330.